Home CRYPTO Blockchain Is Facebook Preparing Its Shopping List to Fuel Its Blockchain Dreams? Is Facebook Preparing Its Shopping List to Fuel Its Blockchain Dreams? While it is in a well aware fact now that Facebook is building its war chest for blockchain, from open hiring to acquiring top talent from the street. But last week news of acquisition blockchain start-up Chainspace took a lot of people by surprise as the Social Media Giant was moving much faster than expected with blockchain. Is acquisition the way for Facebook? Since blockchain became prominent and people start recognizing and realizing its advantage, a lot of mainstream tech companies turned towards this newest tech kid on the block. Facebook too took a lead here but it remained officially silent on most part of its plan with respect to the blockchain. 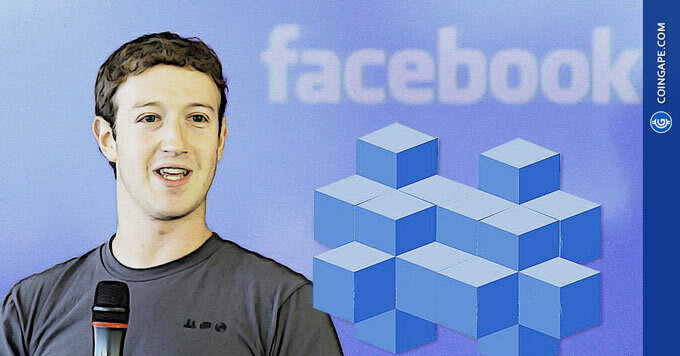 Although there have been several reports of the company hiring and recruiting blockchain developers not many had expected Facebook to take an acquisition route. Going to the article one thing stands out it that Facebook is acquiring these startup as a hiring mechanism or what they call it as “aqui-hire”. The report states that One investor told The Information that Facebook had approached him multiple times about making an acquisition of a company from his portfolio as a way to hire engineering talent. Another person familiar with the matter said Facebook was contemplating deals worth tens of millions of dollars. And with respect Chainspace and Algorand, these could be answers to the company’s concerns about cryptocurrency networks’ ability to accommodate its billions of users, a problem whose answers are available with both these startups. One thing is clear that out of all these news and rumors is Facebook is progressing with blockchain and the tech giants presence is definitely a positive for the nascent blockchain industry. What do you think is Facebook’s dream with respect to blockchain? DO let us know your views on the same.